Every year, 300,000 families around the world will hear, “Your child has cancer.” But you can do something about it. 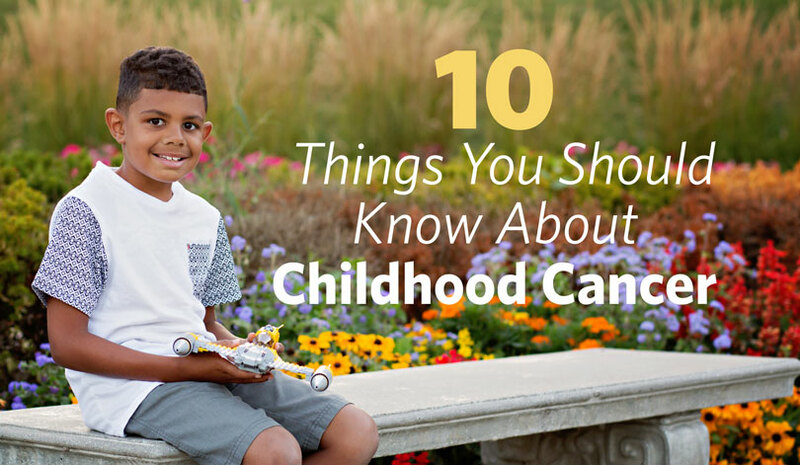 If you want to get involved in the fight against childhood cancer, here are 10 facts you should know. It’s the second leading cause of death (following accidents) in children ages 5-14. 3. The average age of a child diagnosed with cancer is 6. But you don’t have to be a child to be diagnosed with childhood cancer. Childhood cancer is diagnosed in all ages, from newborn infants to children and young adults. 4. 80% of children diagnosed with cancer are in developing countries. 6. In 80% of kids with cancer, the cancer has already spread to other areas of the body by the time it is diagnosed. 7. Much of what we know about treating adult cancers has been learned from childhood cancer research. Some aspects of cancer treatment today, such as combination chemotherapy, can be traced to pediatric cancer research. 8. There are over a dozen types of childhood cancer and hundred of different subtypes. 9. One in five children diagnosed with cancer in the U.S. will not survive. For the ones who do, the battle is never over. 10. Because of the treatments they had as kids, more than 99% of childhood cancer survivors will have a chronic health problem and 96% will have severe or life-threatening conditions. Childhood cancer is a big problem, but YOU can help. Get involved this September for Childhood Cancer Awareness Month.